A Simply Spectacular Experience on Vancouver Island! 4-Day Experience on Vancouver Island! 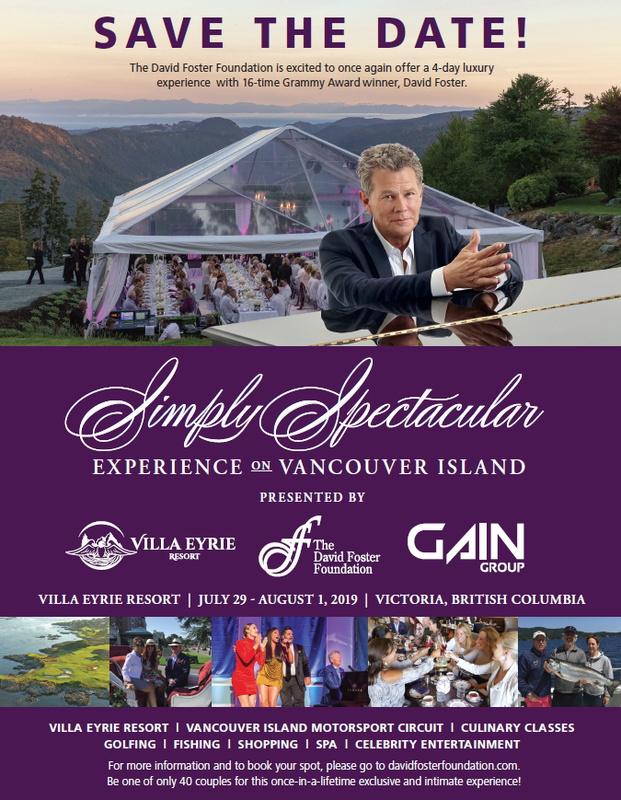 The David Foster Foundation is excited to offer for a second year a 4-day luxury opportunity to enjoy beautiful British Columbia with 16-time Grammy Award winner, David Foster. Reserve one of only 40 packages (maximum two people per package) for this once-in-a-lifetime exclusive and intimate experience! Reserve your spot today! To book now, please call toll-free 1.877.777.7675. The David Foster Foundation is a registered charity in both Canada and the United States.